"Janet Rogers, AWS - From Florals to Figures in Watercolor"
Loosen Up Your Watercolor Style with Janet Rogers, AWS. Janet shares her passion and joy for the fluid and unexpected nature of watercolor, featuring impressions of people, portraits and flowers. Her sensitive paintings are spontaneous, direct, and expressive. “I love the qualities of watercolor – its fluid nature. I love to watch the painting develop and to discover new color and composition. As a teacher, I would like to enable students to find their connections with watercolor in new and expressive ways.” Offered to all levels of watercolor ability. 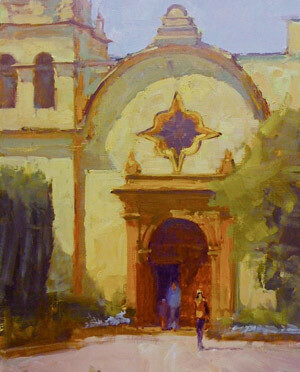 Workshop held at the Historical La Fonda Hotel on the Santa Fe Plaza. "Watercolor Impressions - From Flowers to Figures"
The Historical La Fonda Hotel in the heart of beautiful Santa Fe, New Mexico will be the location for this exciting workshop. Fresh flowers will be our inspiration for the beginning of our watercolor journey. Janet will share her expressive and fluid manner of paint application as we move from interpreting flowers to faces to figures. Discovering unique colors of flowers and flesh tones will be a focus together with soft flowing edges. Demonstrations, class and individual help all combine for a beautiful learning workshop. Though often viewed as intimidating and challenging, painting the figure can be just as approachable as a still life and landscape, and brings with its accomplishment a unique satisfaction and reward. 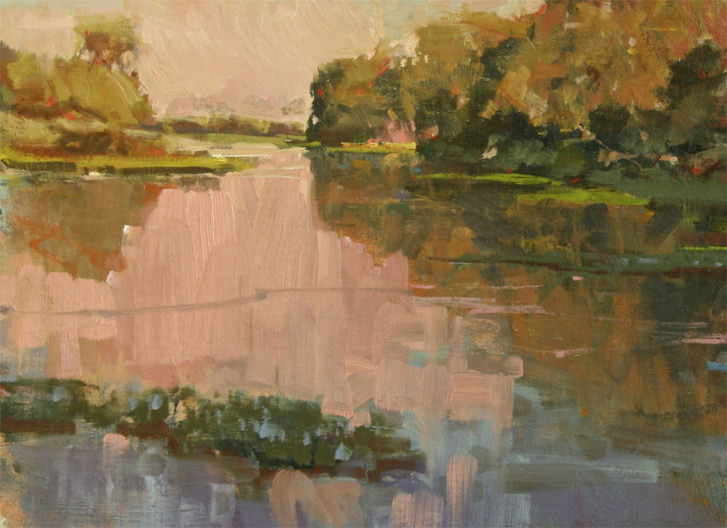 Ted will discuss the pitfalls and pluses of painting from photographic reference as well as how to achieve spontaneity, character, and life in your paintings. Class will include daily demonstrations and one-on-one interaction with class members. As Ted shares the specific techniques he uses to bring excitement to his figurative work, you will find your paintings taking on a new life. And, experience great fun in the process! Ted Nuttall is a signature member of the Northwest Watercolor Society, the Transparent Watercolor Society of America, and Watercolor West. 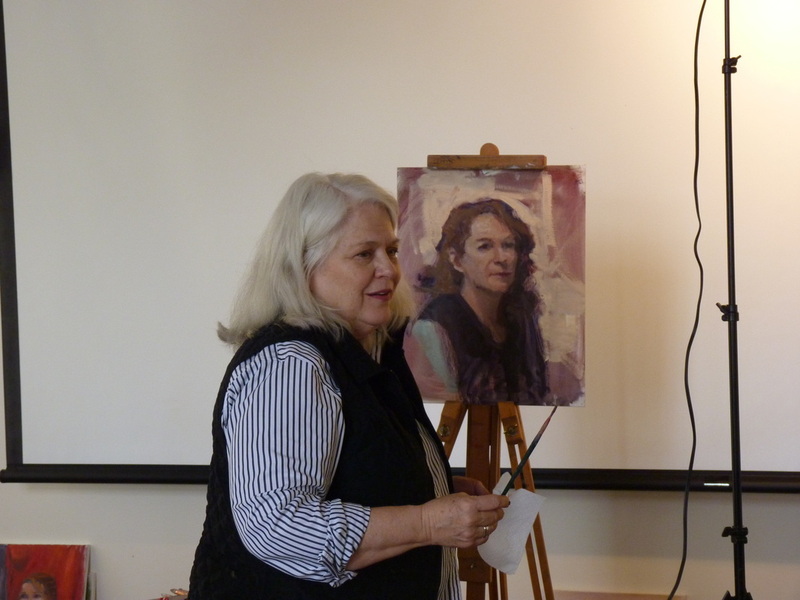 "David Lobenberg's 'California Vibes' Watercolor Portraiture Workshop"
Come spend three days with David in Rehoboth Beach, DE as he shows you how to create vivacious, carefree portraits in stunning color. No prior portrait experience required! View David's website to see his artwork and his unique approach to portraiture. Go to the Delaware Watercolor Society's website for additional information and to download the registration form. Registration opens for non-members beginning May 2, 2019. Maximum participation is limited to twenty participants. For questions, contact Beth, Workshop Director, at 302-670-4117. Cost: Members: $350. Non-members $425. "The Portrait in Pastel with Cuong Nguyen"
The core of the lesson will be based on drawing, values, edges, composition and creating life-like skin tone color. Students will focus on the fundamentals of drawing the human head while developing new skills in soft pastel. The workshop will feature a live model, and Cuong will demonstrate his own techniques to draw from life. Students will learn to use an approach that helps them see the big shapes first, and then go into details towards the end of the session. This is a great opportunity for you to discover your own passion for drawing, or just take your existing skills to the next level. Cubism (a style of art that preceded Abstract Expressionism), incubated a grand rebellion against Realism. Basically, cubists argued that a still life painting of a tomato fell short of showing the entire truth of that tomato and that the way to remedy that was to show all aspects of the fruit at the same time. And in order to do that, the tomato needed to be shattered/fragmented and then all its parts and pieces painted on the canvas at the same time. In this workshop we will paint with gouache on paper..... and instead of smashing tomatoes, we'll learn to use photo references to paint a portrait showing different aspects of a face all at the same time. "Watercolor Portraiture & Hand Lettering: Introduction & Techniques"
Learn to paint the portraits and words of people who inspire you. 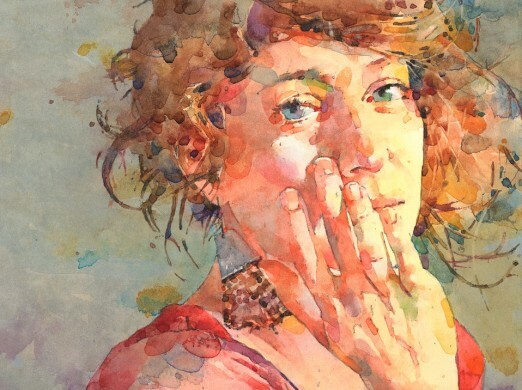 During this workshop, we will review the basics of using watercolors, explore different techniques, and discuss ways to approach painting portraits. Initial steps will include studying facial features and proportions. We'll sketch a base layer drawing of the face, review the basics of color theory like mixing hues and using light/dark hues to create highlights and shadows, and work with layers of watercolor to bring your portrait to life. We'll experiment with combining portraits and hand-lettered quotes with fine tip black markers into a cohesive, compelling composition. Leave with a finished portrait and quote of the influential person in your life. Tap into the energy of your subject and draw their 'spirit'! There is so much more to drawing a person than meets the eye. Tap into the energy of a person and allow that to inspire our drawings. Does their delicate, soft personality inspire the use of a thin pencil? Are they bubbly and hilarious and you can't help but use 3 markers at once? We'll practice our drawing and 'seeing' skills. 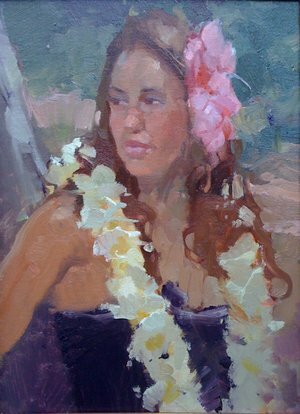 We'll play and experiment through half the class and then dial in on a portrait and really bring that person, and their spirit, to life! Learn how light affects the temperature of colors and values, as well as how to use the transparency of watercolor to allow the glow of the paper to shine through. Fealing Lin will teach you to combine impressionistic brushstrokes and semi-abstract techniques to elicit life and movement in your paintings. She will help you relax and enjoy the process as you discover the spontaneity of watercolor. Fealing's techniques are fun and challenging; the possibility of compositions and expressions are unlimited. She is a signature member of the NWS, TWSA, Watercolor West, and many others. Faces can be a challenge but fear not! We will first focus on learning the proportions of realistic faces and then, from there, learn how to create stylized, or more dramatic and unique faces with character and life in their eyes. I’ll show you several tricks that make creating faces a joy in your art journal, as well as how to give the face some realistic shading and highlights that add depth and character. We’ll work with all my favorite art supplies and techniques including: oil pastel and watercolor/spray resists, stencils, stamps, collage, and tools to create texture, colorful DIY collage paper, adding texture with modeling paste, oil paint sticks for shading and highlighting – just to name a few!